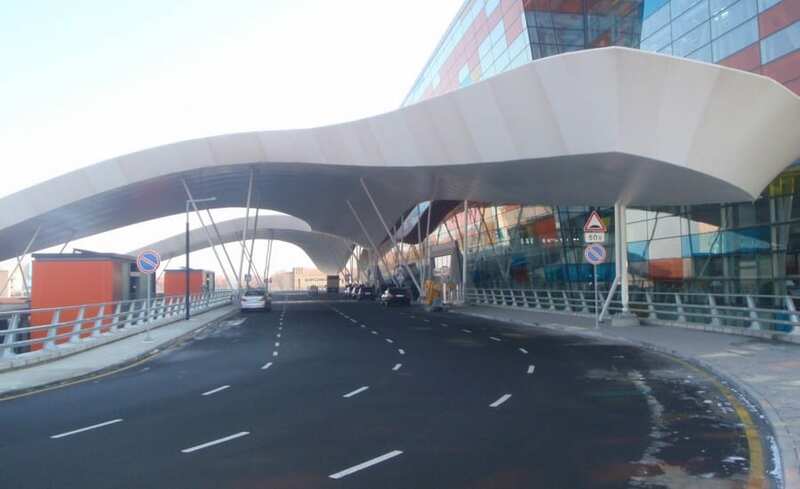 As part of a regeneration programme at Zvartnots airport Architen Landrell were awarded the contract of the design, manufacture and installation of an exterior canopy at the terminal building. 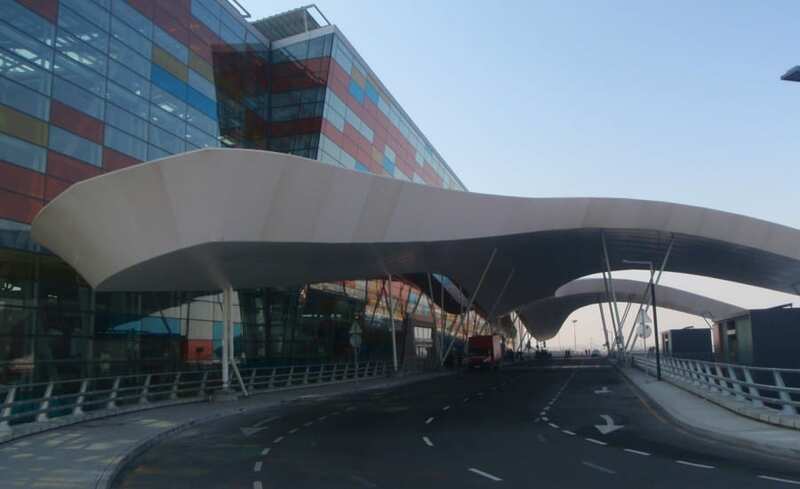 Following the successful installation of the exterior fabric canopy, we were awarded a separate contract of interior light diffusing fabric baffles. 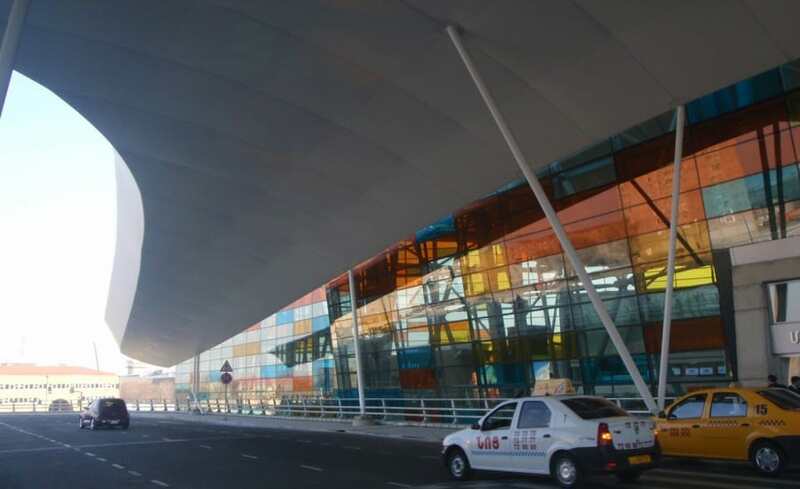 As the main international airport for Armenia the management team felt strongly that the regeneration should include the most modern and technically advanced building materials to create an iconic, unique building. 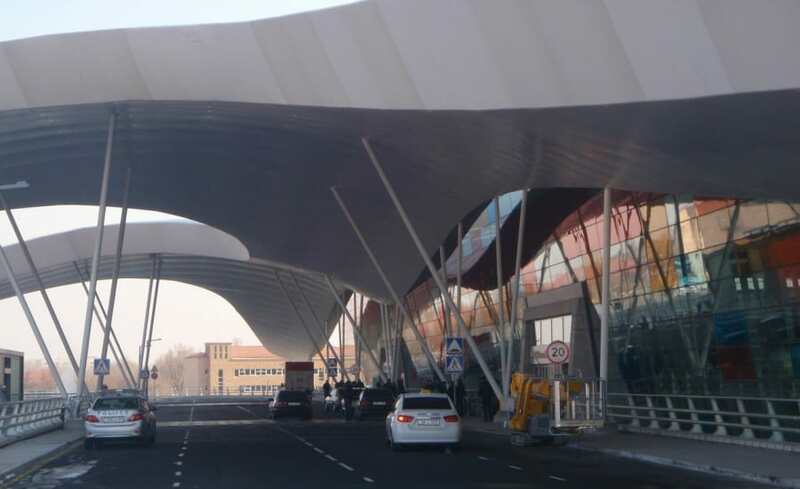 Argentinian architectural company Corporation America commissioned Architen Landrell to create an exterior canopy for the new terminal building to provide some shelter and protection for airport customers. 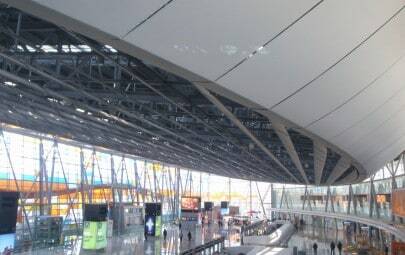 The canopy was made out of PTFE coated glass fabric which was chosen as it is aesthetically pleasing and doesnt falter under the pressure of winter snow or the blistering summer heat. 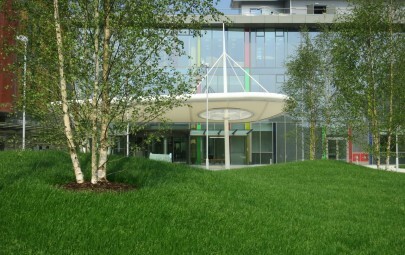 Once the exterior canopy had been installed and completed Corporation America approached us to design, manufacture and install light diffusing fabric baffles to provide an attractive way to conceal the roof cladding. 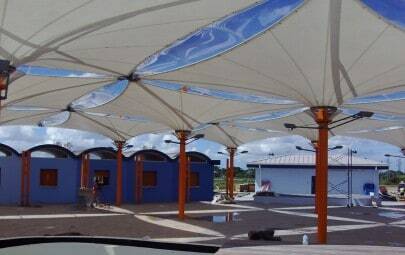 Made out of a lightweight, grey PVC coated polyester mesh these internal structures act as protection from the sunlight and double up as a safety shield should the structure undergo major shock such as a bomb blast, the fabric will absorb the stress and, unlike brittle materials, wont shatter endangering personnel below. All work was designed, engineered and pre-fabricated at our factory in the UK, and then transported across Europe by road to the airport ready for installation by our trained site team. Architen Landrell Director Lance Rowell says he is very pleased to have been involved with such an eminent project and built such a good working relationship with the project team. We’re looking forward to future work with Corporation America.